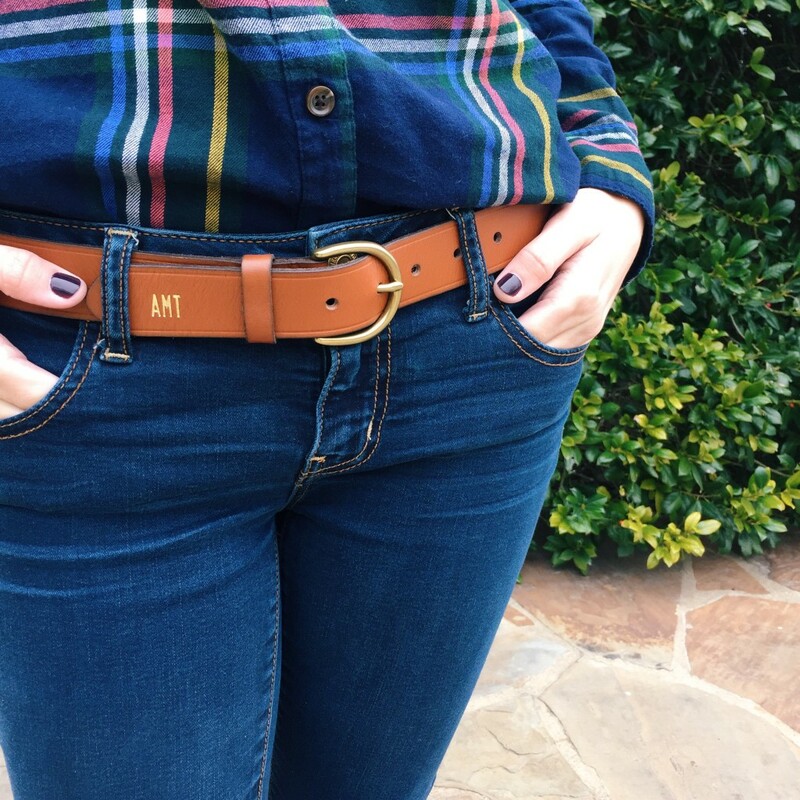 I recently purchased this belt on Cyber Monday from Madewell. I was on the hunt for a good belt and this belt was on mega sale for only $30. The gold monogram was $10 extra, but how can you resist? 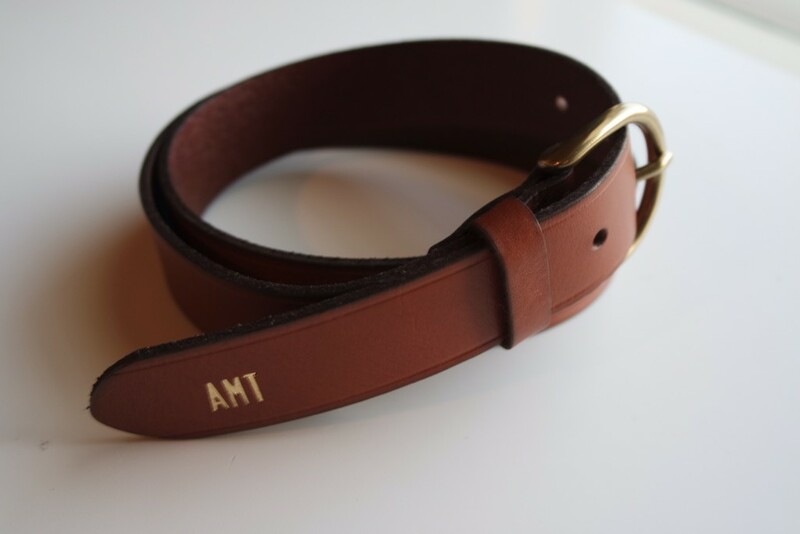 I stumbled upon this belt from Pinterest. 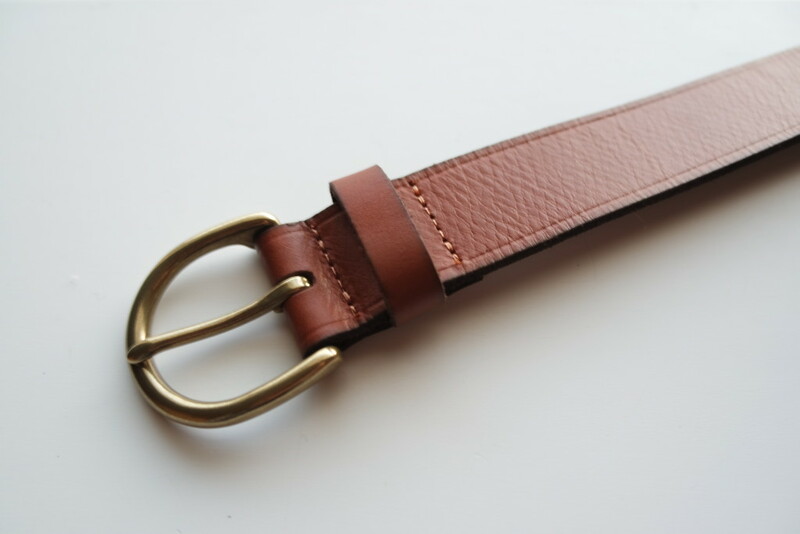 I searched brown leather belt and it was on several results and much to my surprise it was on sale. So I made the purchase with some leftover Christmas money and was very pleased when I got in the mail. 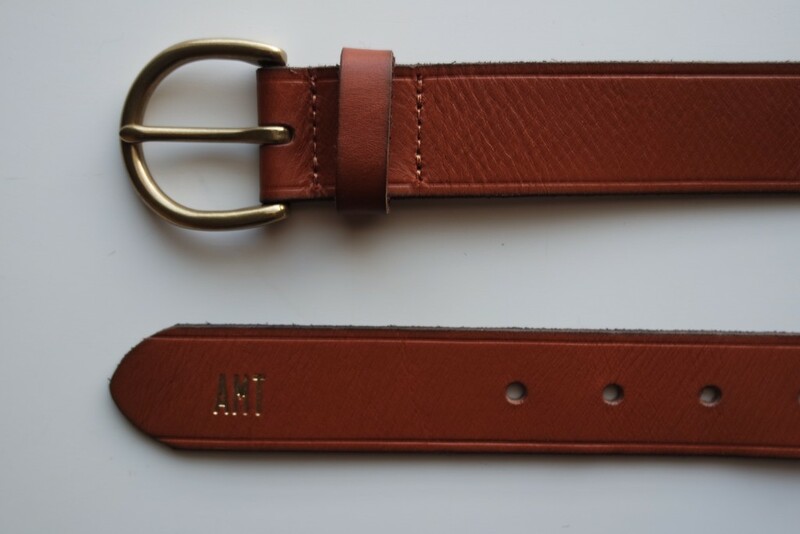 I really wanted a belt from Kiel James Patrick, but could not justify paying $85 for a belt. 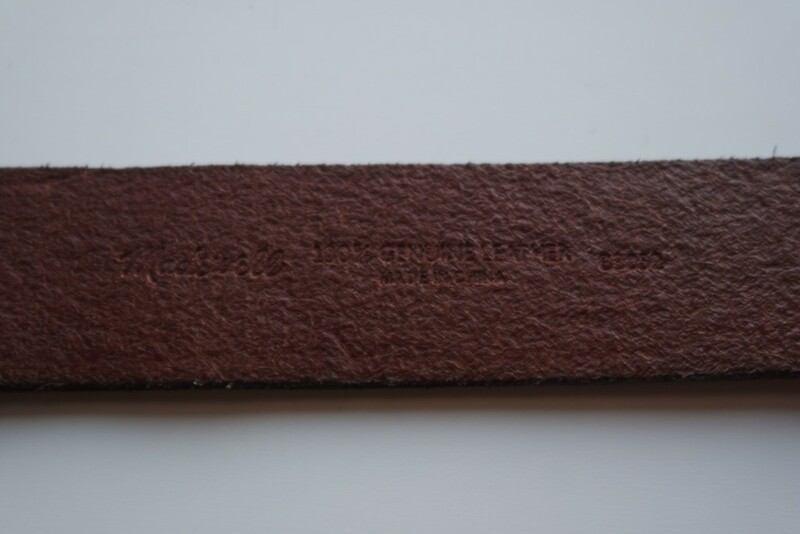 This 100% genuine leather Madewell belt is definitely made well! 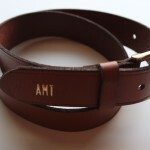 😉 This belt will last me years and will look perfect on a lazy day with jeans and a white tee. The gold monogram is a little extra detail that just makes you happy. This belt is a DEAL!